I realized that it have been quite awhile since I blogged about my beauty hauls. I used to do that a lot and I kind of really miss doing it. So for 2015, I’m going to be blogging about my beauty haul every month. 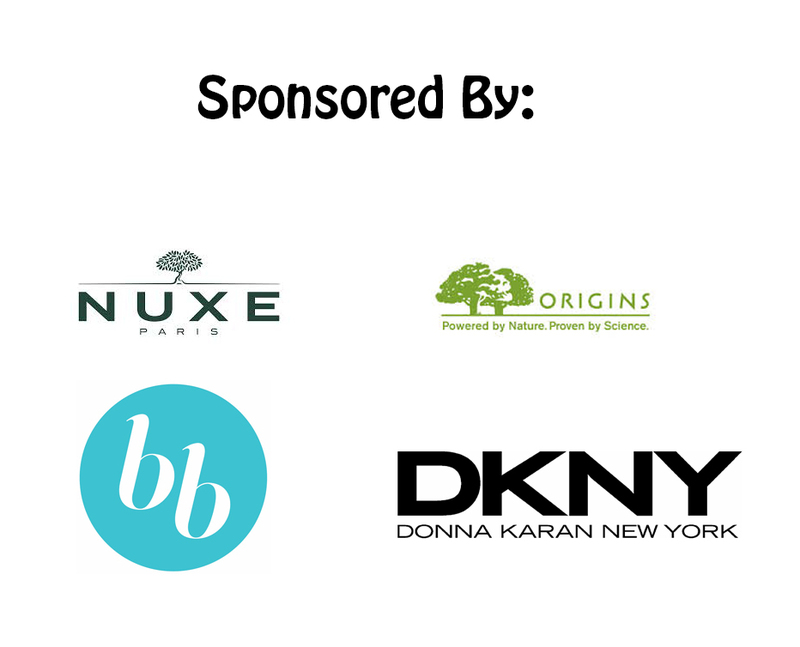 Stay tune to find out what are the beauty products that I picked up from the counters! This is by no means no good to my pocket but I’m really excited! First up is Fragrance! I’ve not purchased any new fragrance for the longest time as I have not been using my fragrances. Now, I try to use a different fragrance weekly to give some love to all my fragrances. Which gave me an excuse to shop for a new fragrance. Haha. I actually wanted to buy the Scandalous scent from Victoria Secrets as it is my kind of scent. Sweet, with a little muskiness to it. But on the day when I actually went down to the store to purchase, the sales assistant let me try their limited edition scent and I got hooked. So I ended up buying the VS Bombshell Pink Diamond. I’m a sucker for all things limited edition and I really like the scent too. It’s quite different from my usual scent but I think it’s a refreshing change. The top notes are of Pink Grapefruit and Passion Flower which makes it a very fruity and refreshing scent. 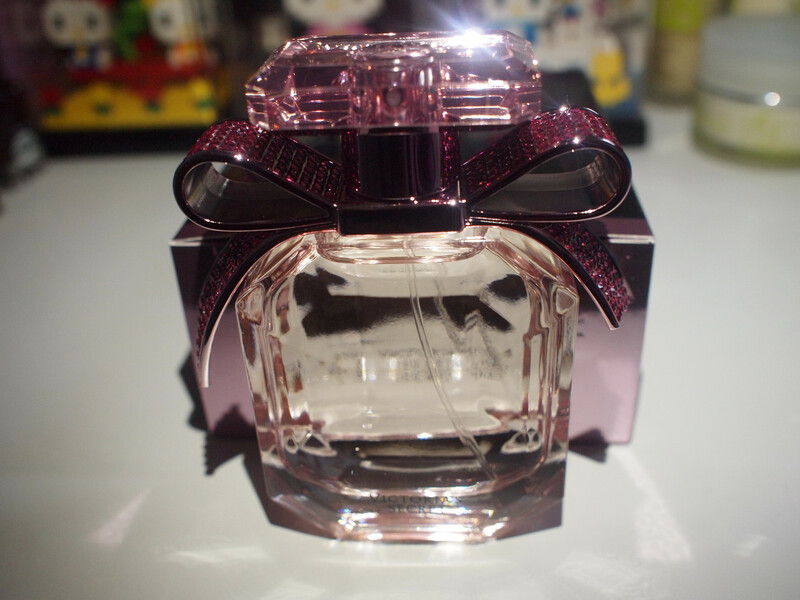 I love how the bottle is so bling and pink and cute! I got this at $109 for the 50ml bottle and it is only available in the 50ml bottle as it is after all, limited edition. 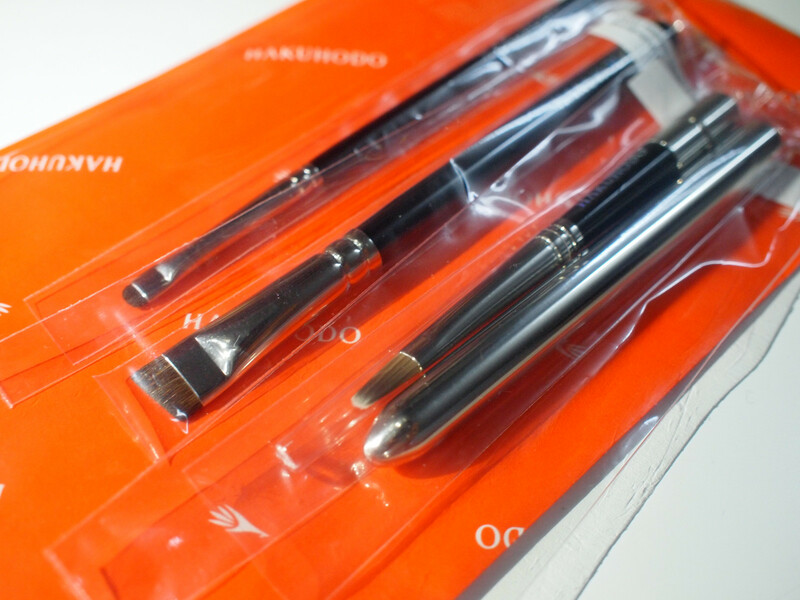 I saw on MakeupStash’s instagram that Hakuhodo have a permanent counter at Takashimaya so I went over to take a look as I am thinking to get a lip brush. I ended up getting three brushes from them, a lip brush, brow brush and a gel liner brush. These brushes are from their more affordable range. If I’m not wrong the brushes I got are of horse hair and synthetic mixture. I could not recall and can’t find the exact match on the site. I spent a total of $95 for these three brushes. I don’t have the individual prices as they do not have tags on them. But I’m pretty sure the lip brush is $39. I also went to check out Chanel’s Spring Collection as I was attracted by the Camelia prints blush. Sadly the blush was out of stock but I was told by the BA that it was nothing special and the prints will go off after a few uses. I ended up getting the La Romanesque lipstick which is a lovely bright fuchsia pink. 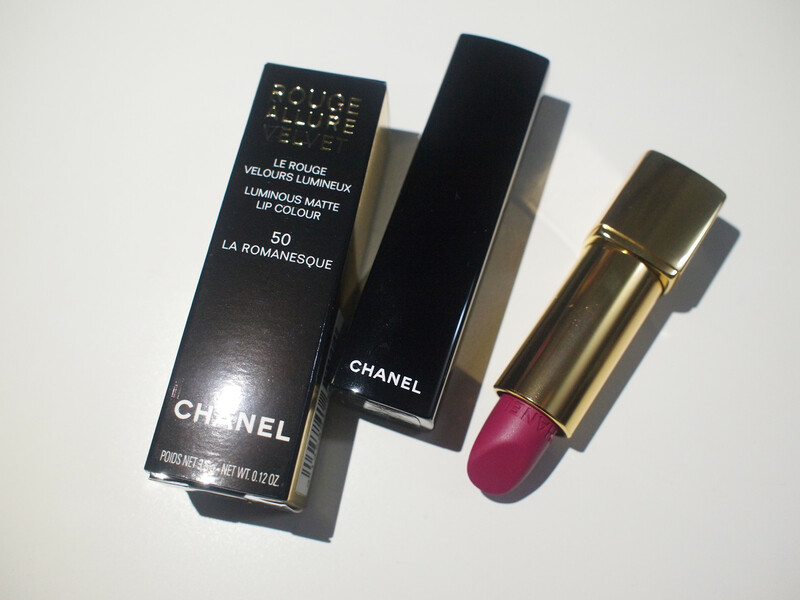 And this is my first Chanel LipStick! Chanel lipsticks are going at $46 a piece by the way. Can’t wait to do a look with this lip color and just nice my skin is finally healing from the purging process from the skincare I’m currently on. And that’s it for my beauty haul for January! Can’t wait to shop for the next beauty haul. I’m currently eyeing some liners and waiting for the new lip products from Shu Uemura. Not sure if I’ll get anything but it all have to wait till I’m at the counter to do some swatching! But one thing for sure is that I’ll definitely be buying a lot more makeup this year, so stay tune! I have been through many shades of brown, bleached my hair, gone through loads of crazy fashion colors when I was being sponsored. No hair looks healthy after putting it through so much chemical treatments, regardless of nourishing treatments which is also chemicals. My thick long hair have since thinned out, dropping more hair then ever. My hair ends are also dry and damaged from bleaching. Which was the very first reason I chopped off my hair last year, other than wanting to try the short hair look. So now I’m trying to nurture my hair back to health. Using PHYTO brand of hair care now alternating it with a normal shampoo with moisturizing effects. It is helping and I’ll touch more on those products in another post. I’m also eating Vitamin B which is apparently good for hair and nails. As I’m growing my hair, I dyed it red once with an organic hair dye and it looked good while it lasted. Now that it had faded and I’ve quite some length of dark roots out, it just looked horrible. Hence, the decision to go black as I will not have to worry about my roots while growing out my hair. By going black, I don’t have to keep dying my hair too. I must say I’m so not used to my black hair after 6 years of colored hair. But I guess I can grow used to it soon. Doesn’t look that bad and my hair looks so much healthier. Do you think I look good with black hair? Hi everyone! I’ve decided to start posting FOTDs regularly on the blog once more. 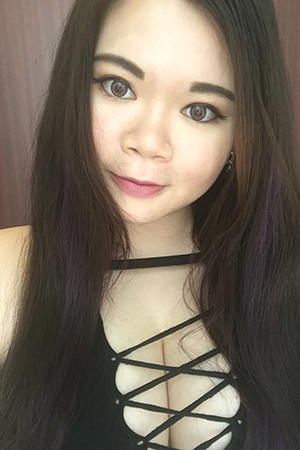 Over the years, the style of how I do my makeup have changed and I think that by posting FOTDs is the best way to share the different style of makeup I spot. So here’s a simple classic look that I’ve been wearing most of the time when I go to work. For this look, I kept the eyes simple yet still defining it. I also use a highlighter on some of my features to brighten up the whole look. I lined my eyes with brown liner as I want a softer look as compared to using black, plus my current hair color is brown. I line only the upper lid as I don’t want it to be too dramatic. I also matched my brows by filling it in using a brow mascara. And if you can notice, my mascara is also brown tone. I think it’s good to match colors when it comes to liner and lashes. Eyeshadow wise, I just apply a nice shimmering highlight color to the lids and blend out any hard lines. This way, the eyes will still pop though there’s no color. The lips would be the main point of this look. I opted for a classic coral with red tones, blotted it off as I don’t want it to be too bright and topped with a coral orange lip gloss. You can also change it to a bolder lip color and it will still look good. I like to match my blush to my lip color so I opted for a peachy coral blush. M.A.C used to be my favorite brand of counter makeup. It’s the first mid range cosmetics that I’ve indulged in the past and a brand that I’ve followed through collection by collection. I got distracted by many other brands that I’ve not stepped into a M.A.C counter for the longest time. And to be honest, collections are getting repetitive and boring that I stopped following the brand. Recently, the brand have been popping up on my instagram from fellow beauty bloggers that I’ve decided to check out a M.A.C counter myself. Ended up leaving with two matte lipsticks. I kind of wished I’ve kept my M.A.C empties for Back to M.A.C though. M.A.C lipsticks are now retailing at $30 from the $28 that I’m used to. (This shows how long I’ve not shopped at M.A.C) The price is actually reasonable as compared to $45-$50 a pop for counter brands like YSL, Chanel etc and just a little more expensive from drugstore brands like L’Oreal or Bourjois at mid $20 range. So I’ve picked out two very bright colors as I’m at the phase where bold lips is the choice for me. I lacked a really bright orange and pink in my stash so I got Lady Danger(Dark Orange) and Candy Yum Yum(Neon Pink). If I’m not wrong, Candy Yum Yum is a limited edition turned permanent color. Both are of Matte formulas. Lady Danger is a bright dark orange with more red tones in it. Candy Yum Yum is a bright neon pink with blue undertones. The texture of the Matte lipsticks are very creamy and they glides on smoothly on the lips. Lipbalm is still recommended for those with dry lips before application as M.A.C lipsticks are usually a little drying. Here’s swatches on the hand in bright room lighting. One thing I note after wiping the swatches off my hand is that Candy Yum Yum stains. I tried it on straight after purchase last night and it stains my lips too. Best to be removed using eyes and lip makeup remover or you can use a soft tooth brush to brush the lips gently to remove the stain like I did. Lip Swatches under bright spot lighting. The color payoff is great and if you don’t want the colors to be so bold, just apply with a lighter hand. Or you can choose to blot off excess color with a tissue. I’m wearing Candy Yum Yum again today and so far it lasted a good 7 hours with eating and drinking in between. Definitely a 4.5/5 rating for these lipsticks. I think I’m rekindling my love for M.A.C.